Hair colors can change your look for the better if you go for the right shade that enhances your skin tone and eye colors. We recommend that you get your hair dyed at the salon by professionals. Why? To avoid hair color allergies and scalp injuries when you do it yourself at home. But we all know that sometimes you just want to do something on a stiff budget. That is why you want to skip the salon and try a good at-home hair dye. To help you out, we have selected some of the high quality, best drugstore hair dyes that you will get at a low cost for your home hair coloring experiment. plunging into the cheap and over the counter products for your hair. So, when you want to save money but still get that hair dye that will be great for your hair, here’s a list of the top rated drugstore hair colors to go for. As you already know, not all those box hair dyes are good brands and choices. From my own experience of dyeing my hair at home, I have come across products that are cheap but don’t live up to what is written on the list of ingredients and what it can actually do. So, without much of that, here are the best at-home hair colors under $10. Yes, this is inexpensive stuff, but very good quality. As you read the list, you might want to know the following in order to match the color perfectly for flattering looks. Well, let’s start with the favorites in the general category. Whether you are in for creating a totally blonde transformation like that of celebrities, or you want something a little crazy, some highlights and lowlights in your natural hair, brunette, Asian or black hair, here’s our list of the top 5 drugstore dyes for you to buy. When time is not on your side, then this is exactly what you are looking for. Bing a temporary dye, it will help you camouflage the roots and grays of your hair until you get the time to shampoo. 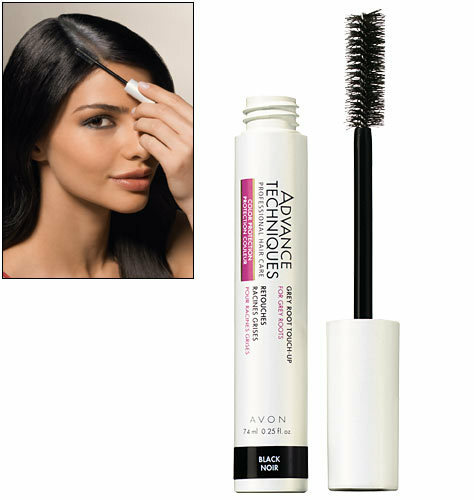 It comes with an applicator that looks like a mascara wand, but yes it works perfectly. Using this wand, you will be able to blend different hues of the color, such as black and brown until your hair is covered with a natural look. So what makes it one of the best drugstore hair dyes for graying hair? Well, for the magic it does in just a short time, it only costs $8. Another one of the drugstore cheap hair colors that you can get in just about any shade and color you want. From blonde, light blonde to medium golden brown and many more, this hair dye comes as a graceful 10-minute coloring kit. I checked at Walgreens and it was rated 5 stars out of 5. At Drugstore, it is rated 4.4 stars and Amazon ratings put it at 3.7 out of 5 stars. Not bad for such a good drugstore hair dye especially when it costs just $5.8. 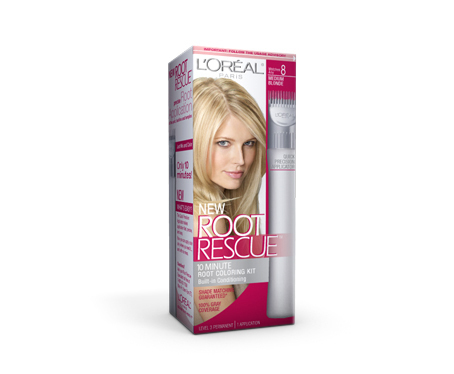 L’Oreal have made themselves a name from the fact that their dyes are easy to use, coming with fast processing times. Also, the color swatches indicated on the box always match the end result. Costs just $3 and you will love it. As far as I have known, Revlon Colorsilk will come in just about any shade and hue you want. From brown to blonde to even black, you are going to get something that is fitting your skin tone. One of the major, yes, I mean major pros is that it is ammonia free yet it is a permanent hair color. According to user reviews, this OTC dye will not damage your hair or even the scalp. So don’t expect to suffer an itchy scalp just because you changed the color of your mane. 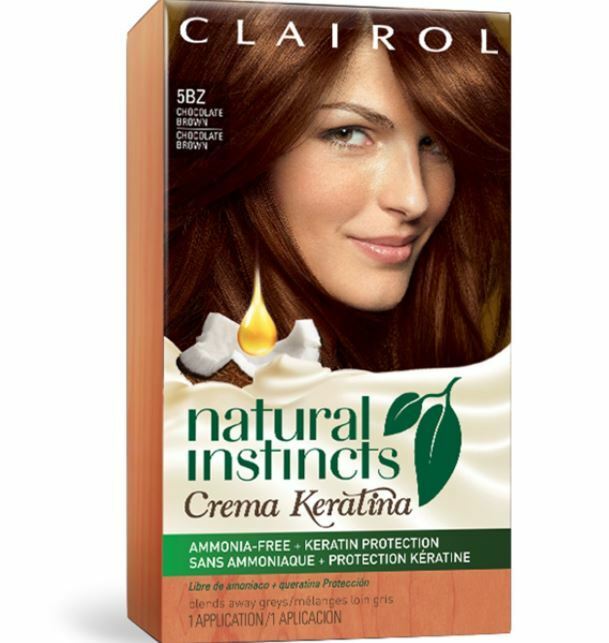 Well, if you just want to lighten or darken your hair a few shades, then Clairol Natural Instincts is the brand you are looking for at the drugstore. Being a semi-permanent hair dye that will take good care of your hair as well, then you will not go wrong with this one. According to Lacey Gattis at PopSugar, this semi-permanent hair color “doesn’t dry my hair out at all, the color results are always even, and it blends really nicely as it fades.” One more advantage it has is that it does not cost much but just $6. Revlon is known for its vibrant hair colors. 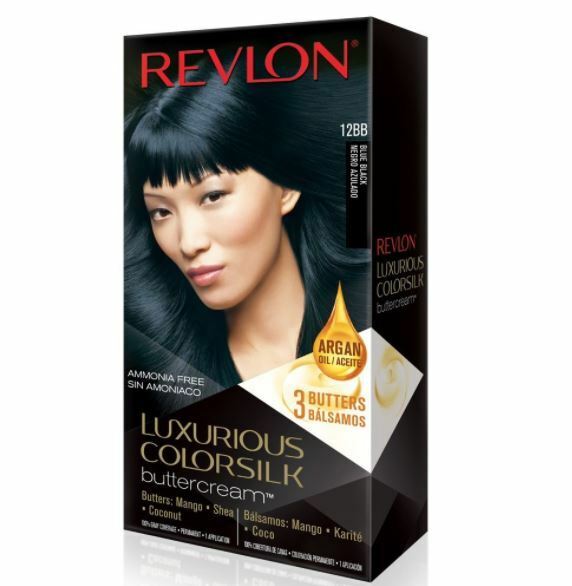 If you have damaged hair (see below also), Revlon Luxurious Colorsilk in buttercream is the perfect product for you. They have designed this system to reduce your hair from suffering from oversaturation. When you use it, your hair will look so evenly colored throughout its length. What’s even better is that it just costs $5.99, which is very cheap for a product that has very good ingredients such as shea butter, mango and coconut oil, all of which are going to make your hair appear smoother, healthier and shinier. So that wraps up our list of the best inexpensive hair colors. Now, let us see the at-home drugstore hair color brands for brunettes, for dark hair, Asian hair and damaged hair. So that wraps up our list of the best inexpensive hair colors. Now, let us see the top inexpensive brands for brunettes, for dark hair, Asian hair and damaged hair. If you are a brunette, you can also use a drugstore hair dye brand to help lighten or darken your hair. There are toners for girls who want to go ombre, to cover grey hair or even to go blonde. But what cheap brands of drugstore hair colors should you choose from? Here’s our list of top rated colors from reviews. Clairol Nice ‘n Easy Perfect 10 Permanent Haircolor, Dark Golden Brown Brunette Express 4G, $9.59. And here’s a quick review about this brand when used by brunettes. There are specific dyes for blondes, but when you are looking to go blonde at home on a tight budget, you can always try L’Oréal Feria Extra Bleach Blonde Extra Bleach Kit. Of course there are other hair dye kits or boxes out there, but this one is inexpensive, costing just $9.99, which makes it fall in our category of products under $10. What if you are blonde and you want something to make a few crazy highlights on your new hairstyle? Well, Rita Hazan Pop Color comes at a slightly expensive price ($18), but reviews choose it as a good dramatic hair color for blondes who want to add some purple, pink and teal sprays. This is temporary though, meaning you can wash it clean in a few days. Black hair, when made glossy can be gorgeous. But sometimes it is not easy to achieve that kind of black that will make heads turn after you. So, what do you need? A good black hair dye that will enhance the blackness in your strands while still looking natural and classy. There are endless lists of brands of dyes for black hair. So which one comes at the top? Hands down, Casting Crème Gloss by L’Oreal is your perfect go-to drugstore hair dye kit for dark hair. It will cover all your needs in this sense, from a glossy look to jet black bold looks and even vibrant colors. We all know that Asian hair is a bit thicker and tens most of the time s to resist color. If you do not get the right product to use for coloring Asian hair, you are likely to end up with an unpleasant result – the brassy effect. This is common when someone is trying to go blonde. Remember that if you are Asian, with dark hair for example, you need a dye that is strong enough that will change your natural hair color to the range of brown or brunette you are looking for. It doesn’t have to bleach your hair though. A cheap option for you would be the PALTY HAIR COLOR (MILK TEA BROWN) brand. Tip: Ensure that you avoid some colors and highlights such as platinum blonde, blue tinged hues, white and violet because these are known to clash with Asian skin tones and undertones. For damaged hair, avoid harsh colors. Perhaps you should look at the list of ingredients to avoid bad products that may have silicones and ammonia. For gray hair, as we have seen above, you might want something that will cover the grey strands completely from the roots. Here, you are not just looking for a dye that will make highlights for you. My natural hair color is black and I want to dye it, especially the underside to be auburn or a copper brown hue. What is the best drugstore hair dye for black hair to use? 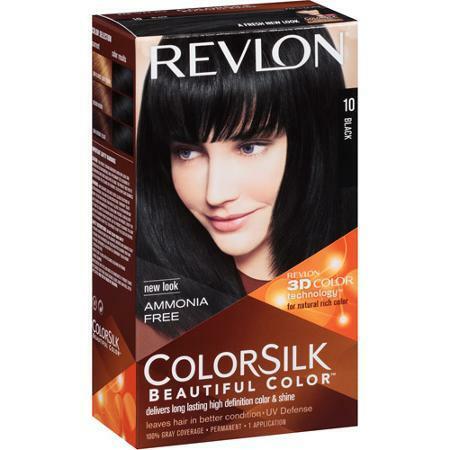 I have been thinking of Revlon Colorsilk since it is very cheap at Target and has very good reviews. Garnier is also a good one but costs more than the Revlon one. Which one will you recommend? Of the best at-home hair colors, I have used Natural Instincts for quite some years and I love its coverage and color. It comes with a conditioner, which I also like so much because it works well too. One of my best drugstore hair colors was Tawny, but it is quite unfortunate I can’t find it anymore. Does anyone know where I can buy it? I have since used two other dyes. They are fine, but not quite the hair color that I want. My natural hair color is dark brown, closest to black and I’d like to lighten it a little bit, and maybe add some copper tones to it. The Clairol product is cheap and seems to do it for me. I am 60 y/o female with light skin and blue/grey eyes. Could I wear some type of red to perk up my looks without looking washed out? My hair is long and natural curly but I often straighten it. Go to You Tube for ideas on how to style your hair and ideas for makeup and skin routines for mature skin. Hi. I used Revlon’s hair dye [the black 3d] and not only did I get a chemical burn I also had a really bad allergic reaction. I just want people to be aware. The burn is on my face and my scalp. I shaved my head and I will never ever dye my hair again ever!! At first it wasn’t all over my face but now it is, could that be from itching my head then touching my face? how do I make it go away can someone please help? I’ve already been to the doctors for this. You could be having an allergic reaction to the hair dye. This could be true especially if it is the first time you are trying the color. It can produce symptoms as yours, as is elaborated in our article here.